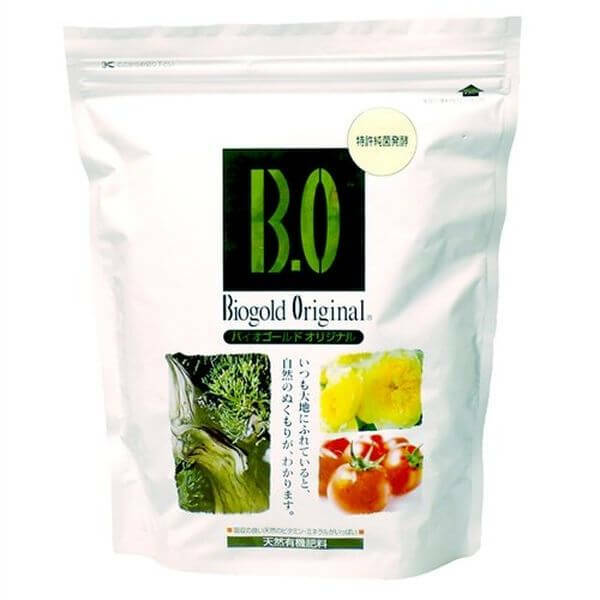 Make the most out of your gardening with the help of the BioGold Organic Bonsai Fertilizer. This organic fertilizer features a time release function that delivers the perfect amount of nutrients. Because it is fermented, it produces no foul smell and comes in triangular pellets that won’t roll away. 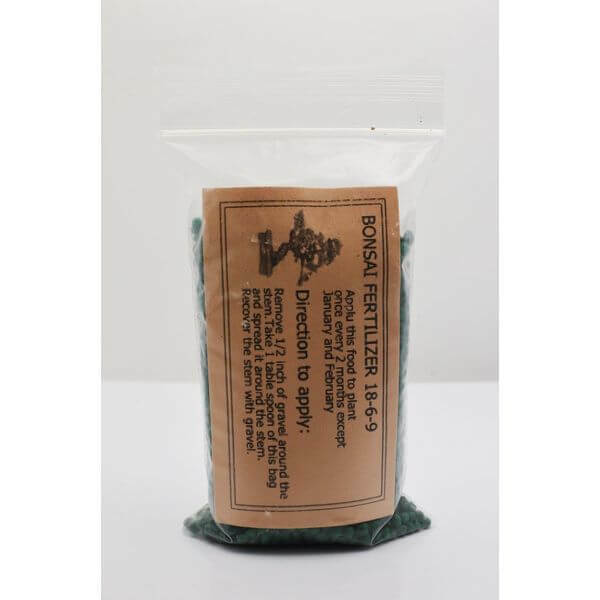 Give your bonsai the nutrients that it needs in a slow, time released way with the Slow Release Bonsai Fertilizer Pellets. It can be applied every five to eight months to ensure that your bonsai stays at its healthiest. It can last a long period of time to ensure the strength and health of your tree. 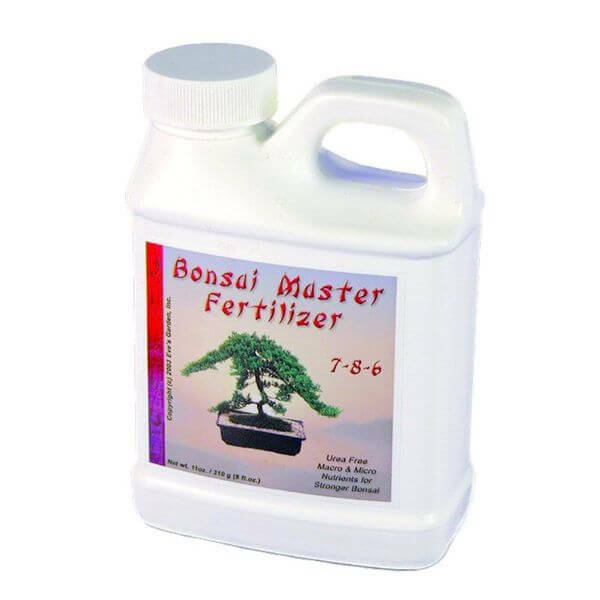 Born out of years of research and experience, the Eve’s Bonsai Master Fertilizer provides just the right amount of nutrients that your tree needs. This includes phosphate, nitrogen and a number of other essentials that bonsais need. It is perfect for not only bonsai trees but household and hydroponic plants alike. 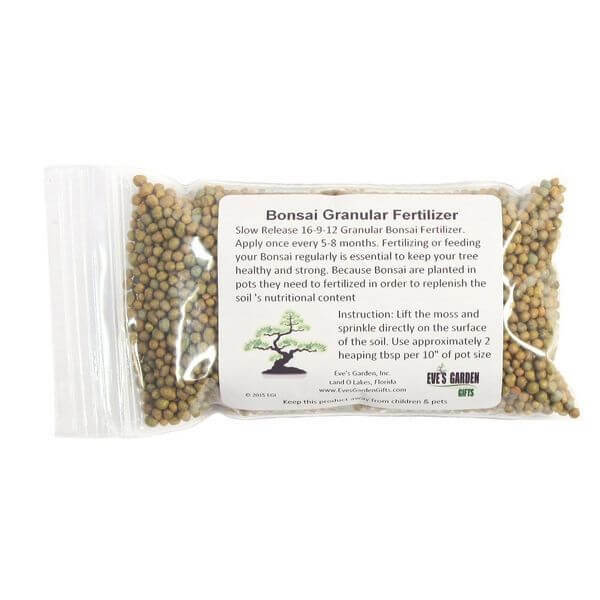 These Slow Release Granular Bonsai Fertilizer Pellets can keep your bonsai tree healthy and strong for up to eight months at a time. Safe for any household plants, these pellets come in a five ounce pack that is resealable to ensure their freshness from month to month. 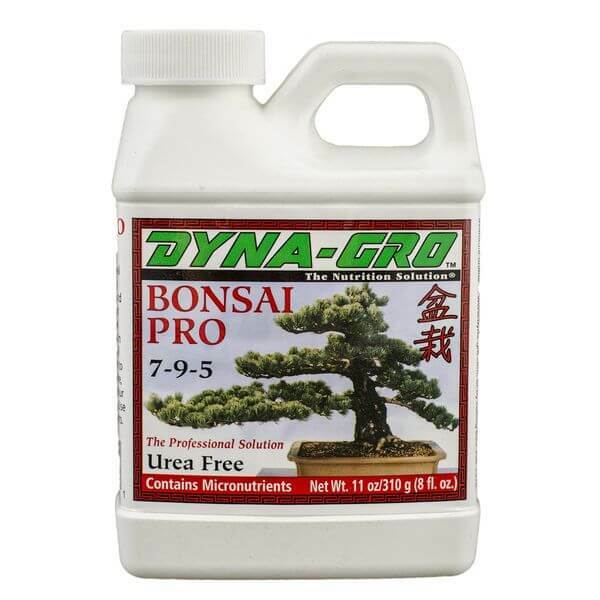 The Dyna-Gro Bonsai-Pro Liquid Plant Food, 8-Ounce, is ideal for keeping your bonsai tree at its healthiest. This fertilizer is made with a number of micronutrients that allow it to nourish the plant and keep it strong. It takes just a little to fertilize the plant to ensure a long-lasting supply. Superthrive Vitamin Solution, 4 fl. oz. 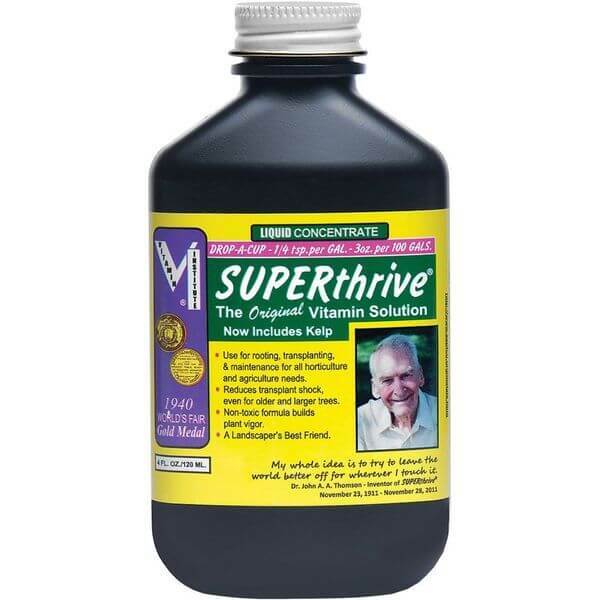 Superthrive Is a Highly Concentrated Non-toxic Vitamin Solution Invigorating All Variety of Greenery for Home Gardeners and Professionals Alike. It Is Equally Suited for Hydro-seeding, Hydroponics, and Foliar Spraying. Superthrive Replenishes the Soil to Nourish and Encourage the Natural Building Blocks That Plants Make Themselves under Optimum Conditions. Nourish your precious bonsai tree with the help of the Superthrive Vitamin Solution, 4 fl. oz. This highly concentrated and totally non-toxic vitamin solution enriches the life of your tree to ensure that it is healthy and strong, replenishing the tree from the soil up.